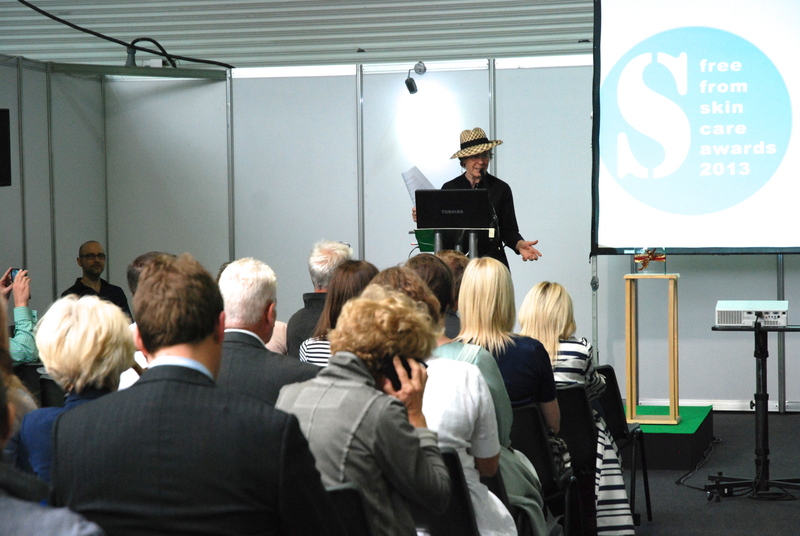 Friday 4th July sees the opening of the Allergy and Free From Show – an essential annual fixture in the allergy, intolerance, coeliac and free-from calendar – which runs until Sunday 6th at the Grand Hall, Olympia in London. 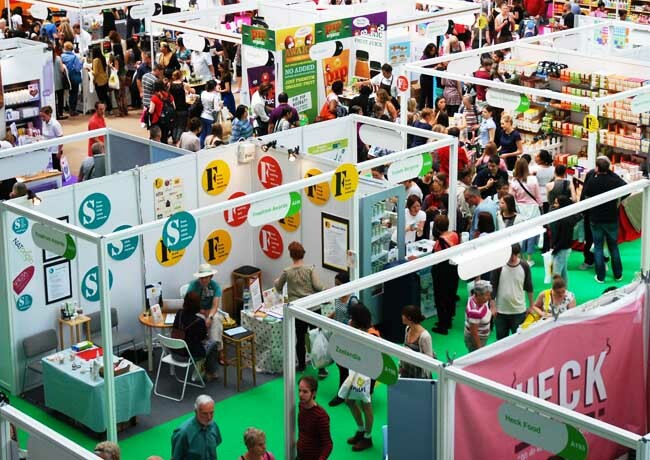 This year it will be co-located with the brand new Love Natural, Love Organic show – an official partner of the Free From Skincare Awards – plus the veggie/vegan Show V Delicious as well. 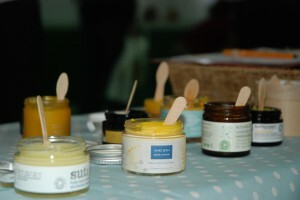 And here are last year’s winning products! There is such a lot to see at the Shows, that it’s a well worthwhile day out of the office or home. 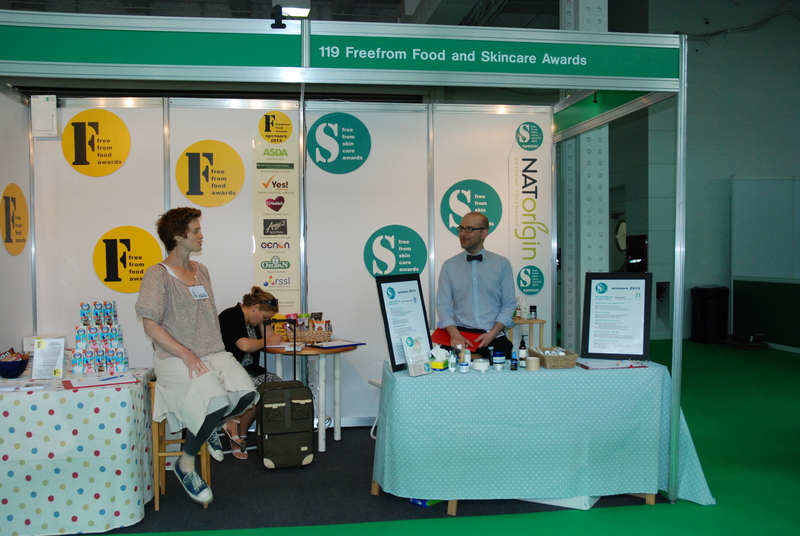 We are exhibiting all three of the FreeFromMatters.com team’s Awards on Stand A230 – The FreeFrom Skincare Awards, the long-standing FreeFrom Food Awards, and the newly launched Free From Eating Out Awards. 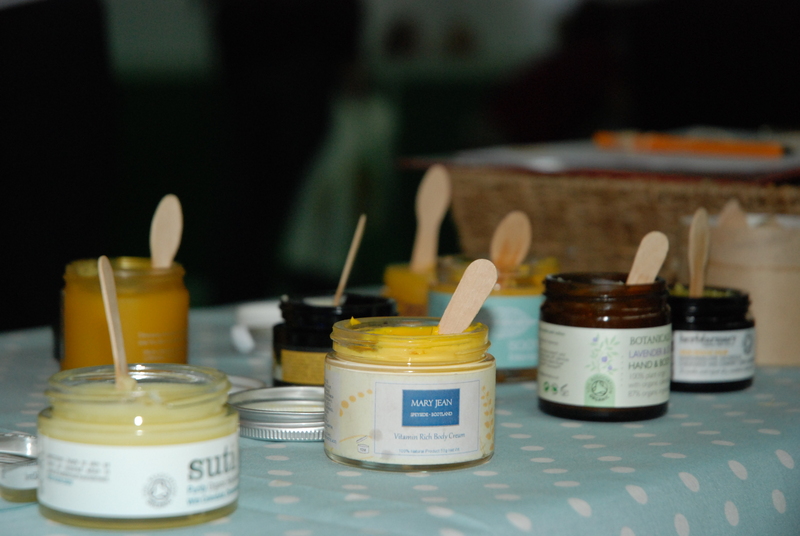 And like last year, we plan to have some tester products of the shortlisted creams, lotions and balms for visitors to our stand to test, and we hope to have some sachets and take-away samples from the likes of Suti, Moa and others to distribute too. 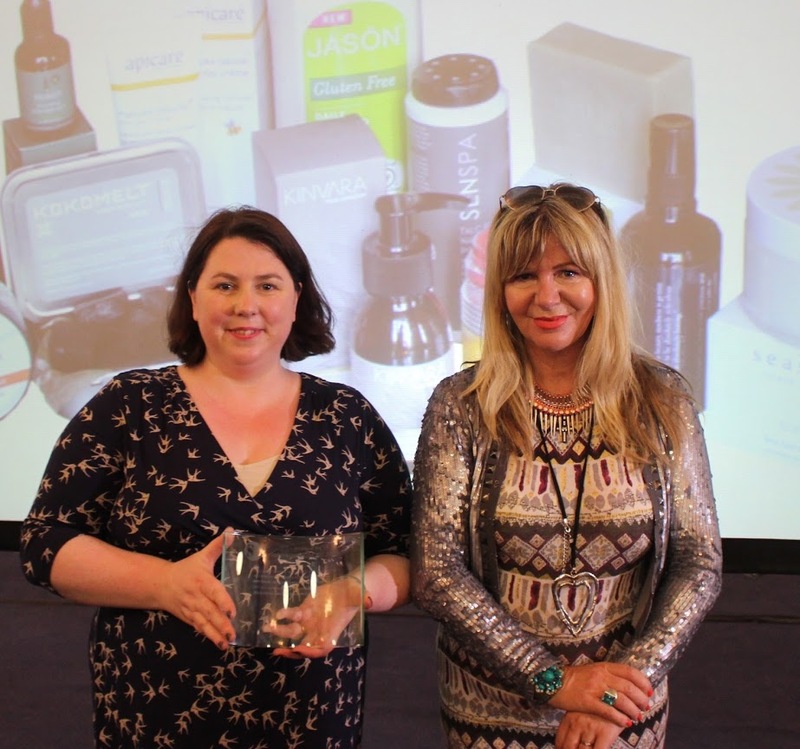 For any bloggers and journalists out there with an interest in free from skincare and who wish to attend the Awards presentation – do get in touch, as we have some seating for press available. 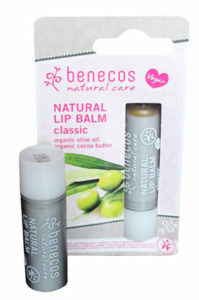 We should also have some press/blogger packs with products from our supportive sponsors NATorigin and Spiezia Organics too. We look forward to seeing you! Don’t forget to click here for free tickets on us first! Going Logo … and (Almost) Loco! One of the most satisfying things about running our FreeFrom Skincare Awards is entrants who are thrilled when they receive good news and do well – and put their special Awards logos to good, and proud, use! This year, for the first time, we introduced an official ‘Entrant’ logo, and we were delighted to see so many use it, especially on social media channels. But one of the hardest things for us is disappointing some entrants, who may not have made the commended lists or shortlist. It’s the nature of Awards that some do better than others, but that doesn’t make it any easier for everyone involved. 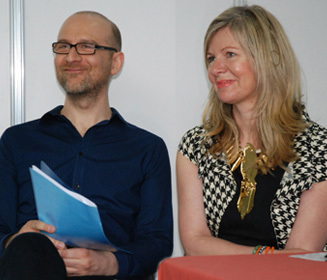 We hope that those brands who weren’t as successful as perhaps they’d hoped they would be do enter again next year, and continue to strive to impress the judges – and in future get their chance to show off some logos too! 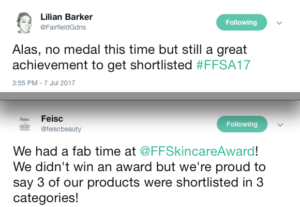 For some examples, you might want to look at Rob from Miessence’s page entirely devoted to success in the FreeFrom Skincare Awards. 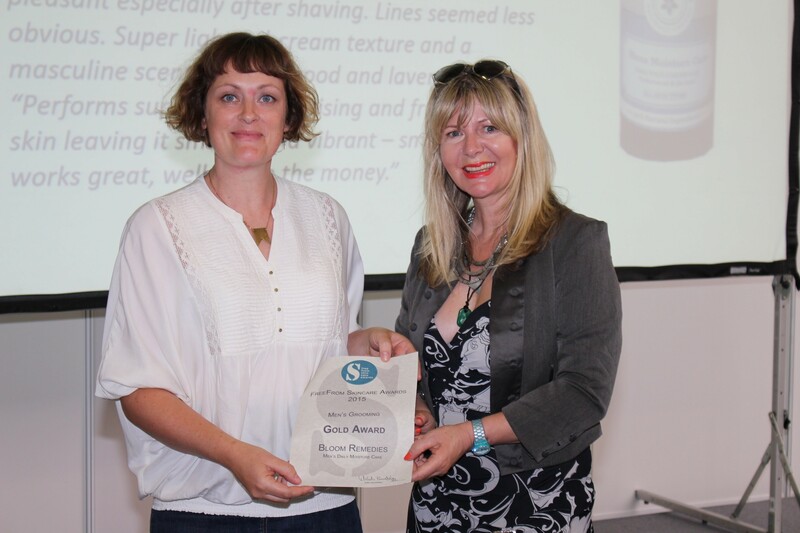 And here’s Shea Mooti – the first ever brand in the Free From Skincare Awards to be shortlisted three times in the same category. And let’s not forget our proud sponsors NATorigin, who have logos galore – as three-time sponsors and as previous ‘medallists’ – on their site. There are many other examples we’ve missed … do let us know if you’ve spotted any creative examples! 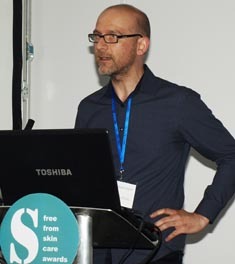 Meanwhile, this last week has seen the small Skins Matter team faced with a mountain of over 1,000 shortlisted skincare samples, and 120 boxes and large envelopes in which to stuff them – and send off to our expert panel of Beauty Bible testers, who will trial them for a month throughout May, and then let us know their thoughts on each one via detailed questionnaires. Obviously, those with problem skin issues had to be offered products suited to their conditions – and not too many of them, or else they may struggle to differentiate the products and work out which might have been helpful. Because vegans could not be allocated goats’ milk, propolis or beeswax containing products (of which we had many this year), and those allergic to certain foods or fragrances couldn’t be allocated products containing them – which involved a great deal of ingredient checking, as you might expect – and expectant mums had to be given pregnancy-safe skincare, and people with only showers could not be allocated a bath oil, and people without children couldn’t be given a kids deodorant … and so it went on and on and on …. We even had to be careful not to send bearded men any shaving gel or bald men the men’s shampoo! 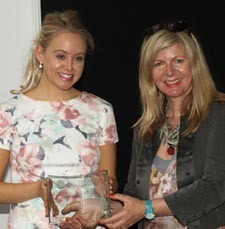 But it is worth it, and we got there, and now we can take a little breather until the exciting time at the end of the month when results start coming in, and we can start to see who might win big in the Free From Skincare Awards 2014 …. For the Shortlist, click here. Winners will be announced at the Love Natural, Love Organic Show (co-located with the Allergy and FreeFrom Show) on July 4th 2014. 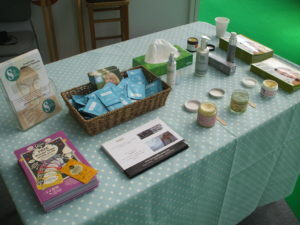 Last week Skins Matter and the FreeFrom Skincare Awards announced a new partnership with the Love Natural, Love Organic Show – the new event from the team behind the Allergy + FreeFrom Show, alongside which it will be located in this, its launch year, at the Grand Hall at Olympia from July 4th to 6th. V Delicious will also be there. Although to the casual observer the subjects covered by these shows may not seem to overlap much, in fact there is much synergy if you approach them from a ‘free from’ perspective: one will offer the best in products free from artificial or synthetic ingredients; one will include offerings free from food and other allergens (or products which will help prevent exposure to them); one will be filled with goods free from animal sources. What it does mean is that visitors primarily aiming for one show have the opportunity to explore the others – and learn much more about ‘free from’ from a perspective that may not necessarily apply to them, but which could potentially interest them nonetheless. 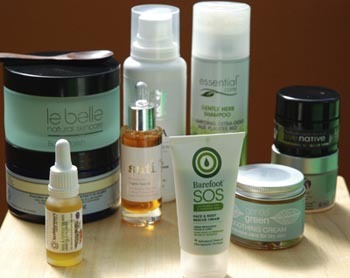 Curiously, as far as skincare goes – manufacturers can theoretically sit in any of the three camps. 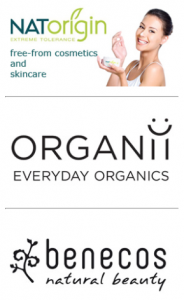 That said, it is the new Love Natural, Love Organic show which will probably be most cosmetics companies’ natural ‘home’ – unless, perhaps, they specifically target the vegan market or specialise in low-allergen skincare or skincare for eczema. 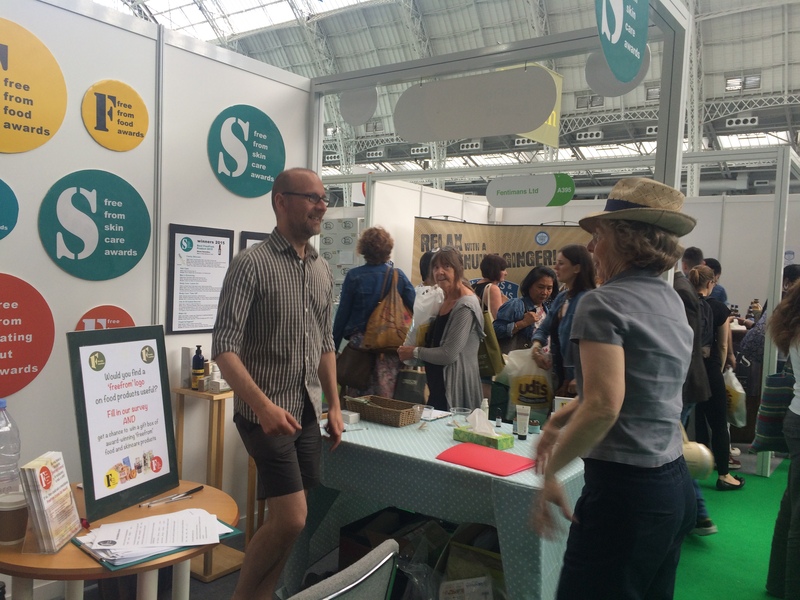 From exhibiting last year at the Show, we know that visitors from one show stray with curiosity into the others: mainly, we appreciated this through the many vegan visitors to our stand, asking us for beeswax-free skincare products. Quite often, to our shame, we were unsure. 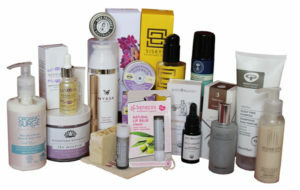 This year, we added an “Is the product vegan?” question to our FreeFrom Skincare Awards entry forms, so we hope to be better equipped to answer such questions of any of our shortlisted or winning products, when they are eventually chosen, and we showcase some at the Show. 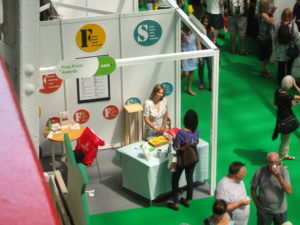 We hope a lot of our Awards entrants (still being welcomed on our Facebook page) and the ‘free from’ brands we’ve worked with in the past decide to exhibit at the Show, and if you do, we’d urge you to familiarise yourselves with precisely what your products and ranges are free from – especially with regard to food allergens. In our experience, very small manufacturers are far more knowledgeable than the medium to larger brands on this front. 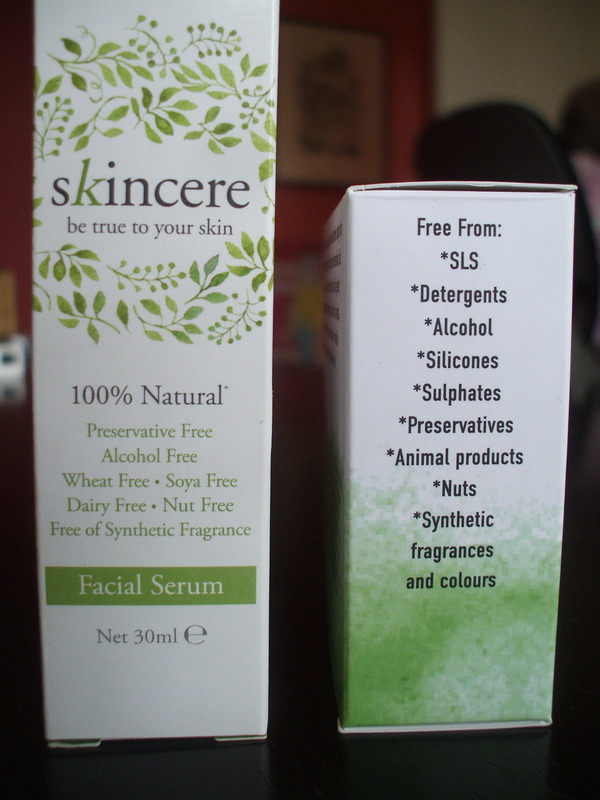 When we started our ‘Free From’ Food Allergens Skincare Directory last year, we sent a mailshot to all our contacts offering them a listing – if they could provide us with the ‘free from food allergen’ status of their ranges. The response wasn’t great. Quite a few were stumped – some didn’t know whether or not chestnut or coconut ‘counted’ as nuts, but worse, some weren’t sure whether or not all their products were free from key food allergens such as sesame or wheat. We really want to see skincare manufacturers get on top of this – and if you do, you will, we think, be rewarded with custom. 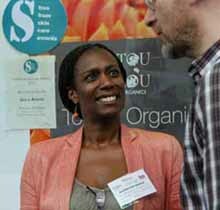 The LNLO Show – or the Allergy + FreeFrom Show – is a good place to start showing off your wares and demonstrating your awareness to a diverse, discerning, and particular market. But there’s also a responsibility on the part of the consumer, here. 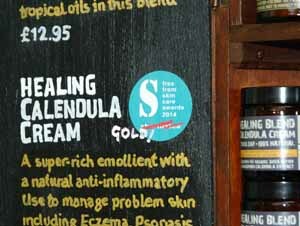 We’d urge you to ask skincare manufacturers about their ingredients and the ‘free from’ status of their products. If you ask, and they don’t know, hopefully they will go get the answer for you. Once they have the answer, they can let others know more quickly. Once they do that for a bit, they become known as a ‘free from aware’ cosmetics brand. Who knows, after that, if they keep getting asked, then they may add it to their websites – or, much better, to their labelling – which is what we’d really like to see. A lot of this development really can be driven by you, and what you want to see, as well as by us, in rewarding the best ‘free from’ skincare out there. So do exhibit, do visit, do get involved, do ask questions, do be informed – and do visit our stand (A230): a whole new ‘free from’ world awaits! * To exhibit, contact Carmen Chan. * To visit, click here for free tickets on us.